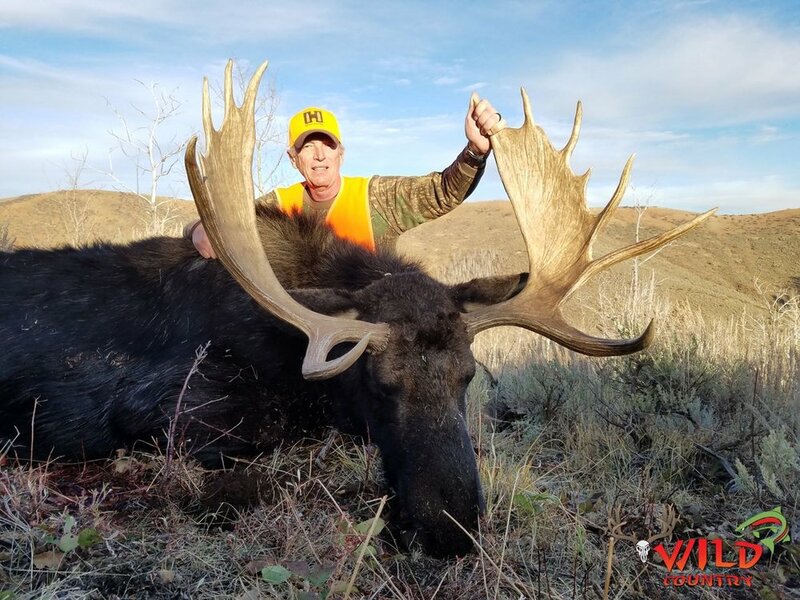 If you're a Utah resident, you can obtain a Deseret CWMU bull moose permit by applying through the public drawing. If you are a NON-RESIDENT you cannot apply for a CWMU permit through the public drawing. To learn more about Utah's CWMU program click HERE. Meeting location: Lost Creek Reservoir in Croydon, UT (Click HERE for Directions to Lost Creek) or the Main Ranch in Woodruff (Click HERE for Directions to the Main Ranch). Trophy care: Packing and caping of your trophy. Meals/Lodging: Included for the hunter free of charge. Beds/bedding, towels, pillows, rest rooms, hot showers, and electricity. Breakfast, lunch, and dinner provided. Tips: tips are not mandatory but are greatly appreciated by the guides and cooks. The tips range form $100-$1500 (split between your guide and cooks). Hunters may shoot only one animal. Once an animal has been wounded, hit, or blood has been drawn, that is your animal and you will NOT be able to harvest or shoot at another animal. To ensure a quality hunting experience for all public hunters all scheduling and inquiring must be done through Wild Country Outfitters Management (contact information at the bottom of this letter). Individual Wild Country Outfitter guides are NOT permitted to schedule hunts or deviate from the information in this letter. To download the moose letter CLICK HERE.